Amine El-Khalifi knew he wanted to commit a terrorist act, federal agents, say, but he kept changing his mind about targets. According to an affidavit released after his arrest Feb. 17, Khalifi believed "that the 'war on terrorism' was a 'war on Muslims," and said that the group needed to be ready for war." Before deciding to attempt a suicide bombing inside the U.S. Capitol, the Moroccan immigrant discussed targeting a series of government offices and places frequented by military officials. In December, the one time he discussed targeting something unrelated to the government or military, Khalifi talked about attacking a synagogue. A review of court records shows that Jewish targets in America are common among would-be terrorists during the past decade. A review of 42 attempted and thwarted terror plots since 9/11 found 16, or 38 percent, included at least talk of attacking Jewish targets. Of the 16, at least seven cases included charges relating to attacks on Jewish targets. The numbers are in line with a recent study by the New York Police Department, which finds that more than half the terror plots uncovered in New York City since 1992 have been directed at Jewish citizens or institutions. 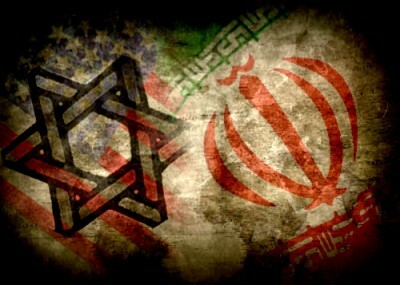 This takes on new significance as national security officials express concern that Jewish and Israeli facilities in the United States could be top targets for attack by Iranian agents and their proxies. The FBI recently held a classified nationwide video teleconference to discuss a retaliatory attack on U.S. soil by Iran, or its proxy Hizballah, in the event of an Israeli strike on Iranian nuclear facilities, CBS News reports. The 90-minute conference call led by Ralph Boelter, the Bureau's counterterrorism chief, included 56 FBI field offices from around the country. Special agents in charge shared intelligence from local investigations that could be potentially valuable in thwarting future plots by Iran and Hizballah. Field offices were also advised to work with local police departments to intensify security around government landmarks, Israeli diplomatic targets and Jewish institutions. Israeli and Jewish institutions in the United States already were placed on high alert following terror strikes last month against Israeli diplomatic targets in Thailand, India, and Georgia. Thai authorities arrested three Iranian men in connection with the Feb. 14 bombings in Bangkok. The men are reported to be part of an assassination plot targeting Israeli diplomats, including the ambassador. A day earlier, attacks allegedly sponsored by Iran struck Israeli diplomatic targets in India and Georgia. The wife of an Israeli diplomat was seriously injured in the car bombing in New Delhi. The attempted car bombing in Tbilisi was thwarted after the vehicle's driver discovered the explosive device. These strikes come on the heels of another foiled assassination attempt in January by Iran against the Israeli ambassador in Azerbaijan's capital city Baku. All the attacks have "the hallmarks of a concerted campaign" that could soon reach American shores, Frank Cilluffo, director of the Homeland Security Policy Institute at George Washington University, told ABC News. Fearing potential attacks on Israeli consulates and Jewish cultural and religious buildings, law enforcement has beefed up security in U.S. cities with high Jewish populations and Israeli facilities, including in New York, Philadelphia, Los Angeles, and Washington, D.C.
At a press briefing following the attacks, State Department spokeswoman Victoria Nuland expressed anxiety over the rise in worldwide terror attacks perpetrated by Iran. "We are concerned about use of international terrorism by Iran or by anybody else against Israel or against any other innocents and about a spike in the number of incidents that we've seen," Nuland said. Although neither Iran nor its protégé Hizballah have claimed responsibility, the attacks coincide with the anniversary of the 2008 assassination of top Hizballah commander Imad Mughniyeh. Israel has not claimed credit for Mughniyeh's killing, but is believed to be responsible. Mughniyeh was behind the murderous attacks on Jewish and Israeli targets in Argentina in the 1990s and was the alleged "mastermind" of Hizballah's 2006 war against Israel. He was also implicated in the October 1983 bombing of U.S. Marine barracks in Beirut, Lebanon that killed 240 Americans. Tehran's recent aggressive acts may also be in retribution for killings of Iranian scientists and officials connected with its controversial nuclear program over the last couple of years. An Iranian nuclear scientist, Mostafa Ahmadi-Roshan, who worked in Iran's Natanz uranium enrichment facility, was killed in a car bomb explosion in Tehran last month. The Iranian leadership blamed Israel for the killing. "Iran is not only retaliating for the embarrassment of having its nuclear scientists killed in its own capital but it is also sending Israel a message that if Israel bombs Iran's nuclear facilities, Iran can retaliate around the world through its terrorist network," former presidential terrorism adviser Richard Clarke told ABC News. Warnings from Israeli and top American security officials raise the specter that Iran, or its Lebanese proxy Hizballah, might target Jewish targets here. Homeland Security Secretary Janet Napolitano told a hearing last month that her department held a conference call with Jewish groups to advise them they may be targets. "The NYPD must assume that New York City could be targeted by Iran or Hezbollah," New York Police intelligence analysis chief Mitchell Silber wrote in the Wall Street Journal Feb. 14. "On Feb. 3, Iranian Supreme Leader Ayatollah Ali Khamenei threatened that Iran 'had its own tools' to respond to sanctions and threats of military action against it. Indeed, as the West's conflict with Iran over its nuclear program continues to heat up, New York City—especially with its large Jewish population—becomes an increasingly attractive target." Plot to Bomb Synagogues in the Bronx: Four men were arrested in May 2009 for plotting to bomb a synagogue in the Riverdale section of the Bronx and for planning to shoot National Guard planes at a base in Newburgh, N.Y., with Stinger surface-to-air guided missiles. An FBI informant secretly recorded the men plotting to destroy the synagogue and other targets. In a recording, the group's leader James Cromitie was heard telling the informant, Shahed Hussain, "The worst brother in the whole Islamic world is better than 10 billion Yahudi [Jew]." "With no hesitation, I will kill 10 Yahudis [Jews]" "and then I will have to think 20,000 times before I kill one Muslim." Cromitie also told the informant, "I don't give a f- if a bunch of Jews are in there," "Jews are the most wickedest people that Allah has created," and "These f-ing Jews get me sick." The men, also known as the "Bronx Four," received 25-year prison sentences after being convicted in October 2010. Manhattan Terrorism Plot: Ahmed Ferhani and Mohamed Mamdouh were arrested last May for plotting to bomb synagogues and attack Jews. The arrests marked the end of a seven-month sting led by New York police officers. In one of their conversations, Ferhani raised the idea of blowing up synagogues. Mamdouh responded to Ferhani's idea, saying "Hell yeah, I would love to blow that [expletive] up." In a subsequent conversation, Ferhani suggested targeting "the biggest synagogue in Manhattan." He suggested disguising himself as a Jewish worshipper and leaving a bomb in the synagogue while pretending to pray there. In their conversations both men said they hated Jews. According to an affidavit, both men purchased weapons from undercover officers, including a hand grenade, semi-automatic handguns and bullets, to help them carry out their attacks. Folsom Prison Plot: Muslim convert Kevin James pled guilty in 2007 to conspiring "to levy a war against the Government of the United States through terrorism." While incarcerated at the high security New Folsom State Prison outside Sacramento, James and several other inmates established a terror cell called Jam'iyyat Ul-Islam-is-Shaheeh ("JIS"). Members of the terror cell plotted "to target for violent attack any enemies of Islam or 'infidels,' including the United States Government and Jewish and non-Jewish supporters of Israel." Jewish Federation Shooting: Naveed Haq was sentenced to life in prison for his 2006 shooting rampage at the Jewish Federation of Greater Seattle that killed one woman and wounded four others. Prosecutors called the attack a "hate crime," and said "the attack on these women was an attack on the Jewish community, not only in Seattle, but throughout our nation and the world." Little Rock Shootings: A Muslim convert, Abdulhakim Mujahid Muhammad, was sentenced to life in prison for shooting two soldiers outside an Army recruiting center in Little Rock, Ark. Court filings said Abdulhakim plotted to target "different Army recruiting centers and Jewish organizations." He said he chose those two targets "because what they're doing in Palestine or years of killing Muslims." He also attempted to fire bomb a leading Jewish rabbi's home in Tennessee with a Molotov cocktail. El Al Terminal Shooting: Egyptian national Hesham Mohamed Hadayet killed two Israelis and injured four others when he started shooting at the El Al ticket counter at Los Angeles International Airport in July 2002. FBI investigators later concluded Hadayet, who was shot and killed by a security guard, committed a terrorist attack in hopes of changing U.S. policy and of dying a martyr. In October 2010, authorities intercepted suspicious UPS packages on board Chicago-bound cargo planes following an intelligence tip. The packages were loaded with explosives and mailed from Yemen to Jewish synagogues in Chicago. The explosives were traced back to the top explosives expert belonging to al-Qaida's affiliate branch in Yemen. U.S. intelligence officials say the October arrest of a Texas car salesman accused in an alleged Iranian plot to kill Saudi Arabia's ambassador to Washington shows a growing willingness in Iran to sponsor attacks in the United States. Suspect Manssor Arbabsiar confessed to authorities that "he was recruited, funded and directed by men he understood to be senior officials in Iran's Qods Force." The thwarted plot shows "that some Iranian officials—probably including Supreme Leader Ali Khamenei—have changed their calculus and are now more willing to conduct an attack in the United States in response to real or perceived US actions that threaten the regime," Director of National Intelligence James Clapper told the Senate Armed Services Committee in February. "We are also concerned about Iranian plotting against US or allied interests overseas." Note: This article has been updated to correct a date error.